They’re the authors of the idea of “The guardians of the hearth and home” and the winners of the Smart Medius Hackhaton 2019 in Rzeszów. Their device checks whether everything’s ok at an older person’s home. It also allows for calling for help and support by institutions, family, or a special contact center. 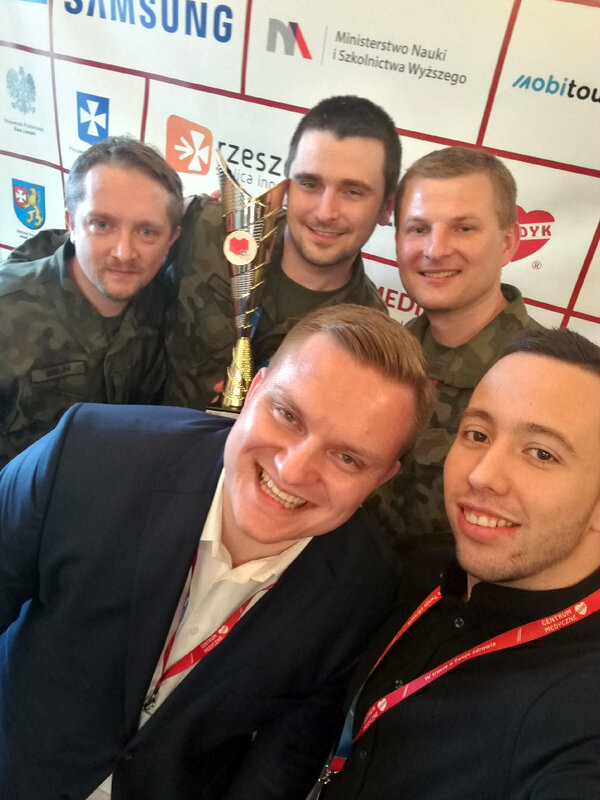 As per their their motto: “Always ready, always close”, the soldiers have decided to forward the main prize of 7,000 PLN to the World Association of Home Army Soldiers, Podkarpacki district (see the recap of forwarding the prize). Congrats on the idea and commitment. We wish you lots of strength and perseverance in launching the product to the market. 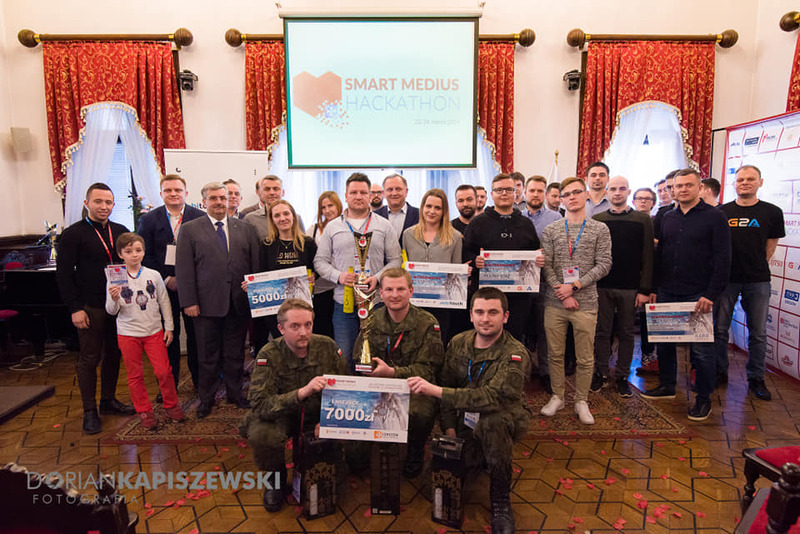 Thank you to the organizers, in particular, Agnieszka Gocek from the Medical Center MEDYK and Tomasz Skoczylas from the City of Rzeszów, as well as all the participants and mentors for the fruitful cooperation, helping the creative juices flow during the event.